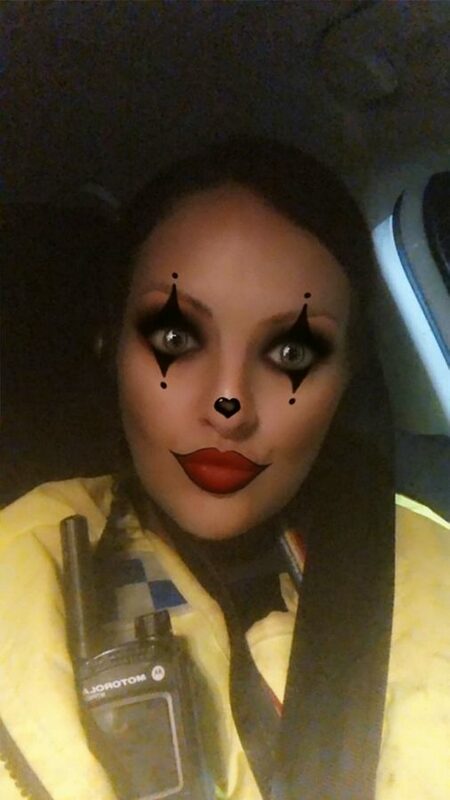 A police community support officer has been slammed for making her force look “unprofessional” by posting a series of pouting selfies in uniform on Facebook. 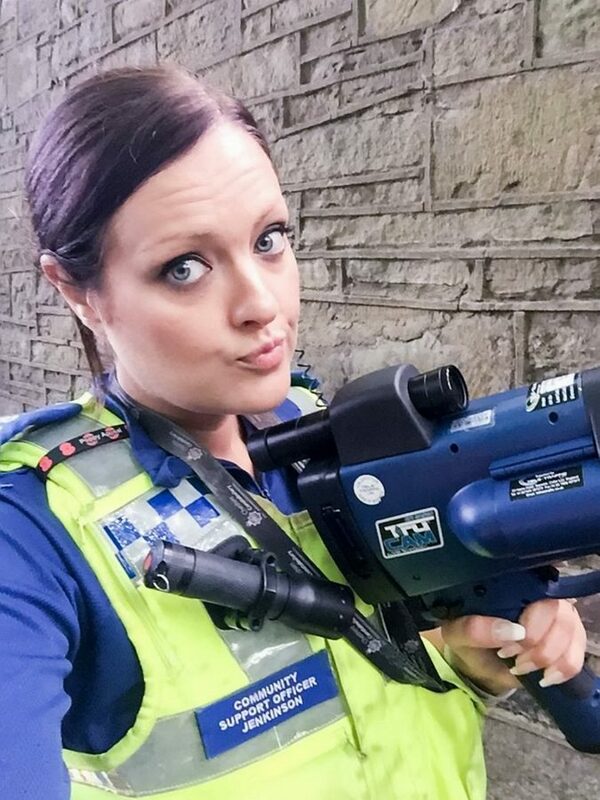 PCSO Anna Jenkinson has been uploading jokey images of herself on duty to an official Cheshire Police social media account since April last year. 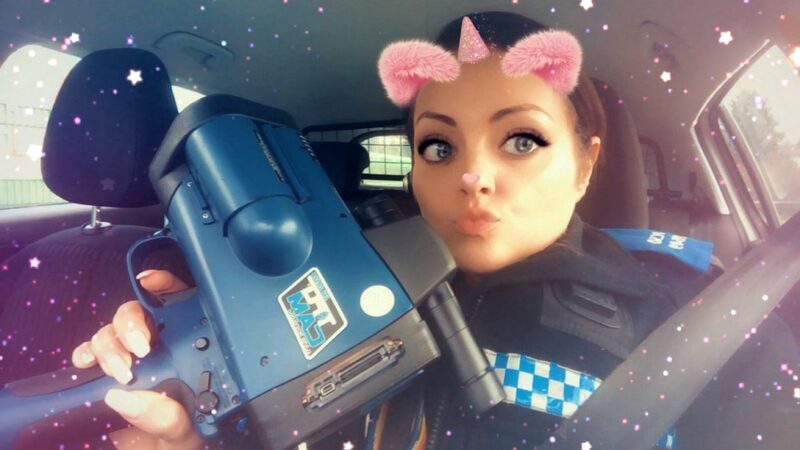 Some of them show her posing with speed guns using Snapchat-style filters to add effects such as fluffy ears, rainbow sunglasses and even a unicorn horn. But some web users have criticised the PCSO and say she is trivialising police work, belittling criminal offences and making a “joke” of her force. Others have accused her of wanting to be a social media star while one person branded her lighthearted posts an “embarrassment to the job”. Andrea Jones commented on the Prestbury & Alderley Edge Police Facebook page on January 27, saying: “Who thought this was a good way to promote Cheshire Police! “It looks like you are not only laughing at motorists and belittling the offence of speeding but you are also making a joke of what should be a disciplined organisation. “There’s a time and a place for fun and banter and I’m afraid this isn’t one of them. “Traffic offences wind members of the public up without the PCSO making light of it. Shirley Carter said: “I’m staggered that they think she is acceptable, funny and professional. It just goes to show how far standards have dropped these days. ” I loved a bit of fun but there’s a time and a place and if this Doris represents the service then heaven help them. 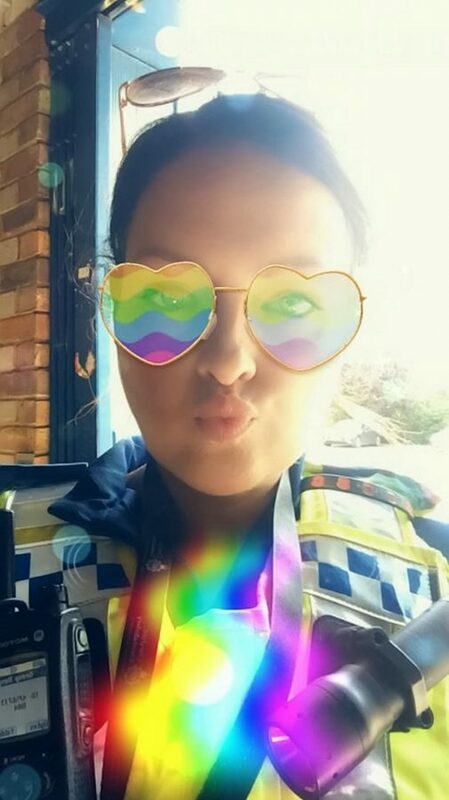 However, other social media users have welcomed her modern approach to police work, which had included the officer using the hastag #PoutingPCSO. Matt Black spoke up in support of the PCSO and said: “I think we are of a different generation from these young ones. “She wasn’t parading as a unicorn when engaged on speeding enforcement (I hope) and I have no reason to think she was anything other than a model of professionalism. “It’s how the message is put across via social media. Zero drivers found speeding is indeed a good news story and a young officer putting it out in a way that engages young people is fine by me. Cheshire Police replied to some of the comments online, writing: “Hi everyone, thanks for the feedback! “When we give officers access to social media we allow them the freedom to be themselves, show that they are human, and try to get messages out in creative ways (so that it’s not the same repetitive content). “Some people will appreciate the informal messages and others won’t, but until we try it, we’ll never know. In a statement, a Cheshire Police spokesperson added: “We have recently given all of our PCSOs their own social media accounts and they are encouraged to use them in a way that is both engaging and informative to reach out across all their communities. “PCSO Jenkinson is well liked locally and she has received a broadly positive response for her fun and creative approach to communicating with her community.